The warm weather and blossoms have been hinting at it, but now it's official. 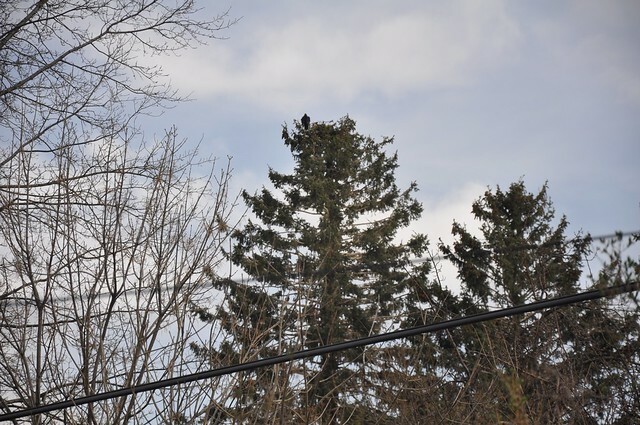 This turkey vulture arrived at 920 West Mountain Avenue between 2 and 5 PM today. The first one came also on the 25th of March in 2008 and 2009. Before that I wasn't keeping close track, but I'm sure it was within a couple days of the 25th. I was in France in 2010 and then in London last year and missed the big event. Is the vernal equinox the signal for them to head north from at least 4 days away?